Hammered by job losses and the Great Recession, Milwaukee has struggled economically. But the Milwaukee Bucks and their new owners are helping to change that. Last April 9 marked the end of an era for the Milwaukee Bucks of the National Basketball Association. Not only was it the date of their last home game for the regular season, against the woeful Orlando Magic, but it was the final regular season home game in the Bucks’ 30-year-old BMO Harris Bradley Center, which cost $90 million when built but lacked the amenities of more modern arenas. Standing courtside before the game were two of the three New York–based billionaires who’d bought the team in 2014: Marc Lasry, cofounder of private equity shop Avenue Capital, and Jamie Dinan, the founder of hedge fund York Capital Management. Lasry, dressed in khakis and a sweater, looked relaxed—Lasry always looks relaxed—with the suit-clad Dinan a little more wired. The game itself was anticlimactic: The Magic seemed to realize their designated role in the drama and glumly succumbed to the Bucks by a score of 102–86. 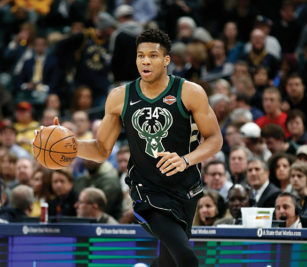 But the Bucks’ exciting star, Giannis Antetokounmpo, also known as the Greek Freak, didn’t play—he was resting a bum ankle in preparation for the playoffs against Boston. Still, the fired-up crowd didn’t seem to care: The Bucks were on the move, and as a result, so was their hometown. 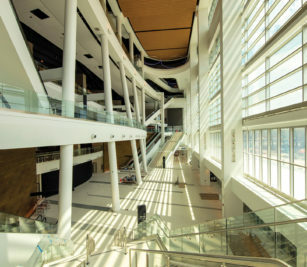 This fall, the Bucks start play in their cool new $524 million, 17,500-seat arena, Fiserv Forum, which will be tricked out with the latest in entertainment technology, better views for the fans, sausages from local sausage maker Klement’s, Hawaiian poke bowls and beers from MillerCoors, a nod to Milwaukee’s brewing history. For the first time in over a decade, the team is actually good. More important, the Bucks’ new owners have kicked off a wave of development—much of it with their own money—that is pouring new energy, excitement and cash into Milwaukee. Not anymore. Milwaukee—which Barrett says is about 39 percent African American, 36 percent Caucasian, 18 percent Hispanic and 4 percent Asian American—struggles with poverty and unemployment. On top of its structural economic issues, the financial crisis hammered Milwaukee. “We lost about $5 billion in property values,” Barrett says—with resulting drops in property taxes. Now, Milwaukee’s poverty rate of about 28 percent is almost twice the national average. Until this year, when it has improved, the city’s unemployment rate was also well above the national average. Rankings of violent crime show it to be one of the 15 most dangerous cities in the country. So when in 2013, then 78-year-old Bucks owner Herb Kohl, a businessman and former United States senator, announced that he was searching for a new investor, Milwaukee was rattled. Would a Bucks sale—and perhaps departure—push Milwaukee even further down? A departure was possible. Though Kohl flatly stated that he would only sell to a buyer who would commit to keeping the team in Milwaukee, the NBA wanted a new arena for the Bucks—and if the league didn’t get it, a new owner might be compelled to move the team. Several potential buyers thought the team would be more valuable in a larger market. “People thought the Bucks would do better in Las Vegas or Seattle or Orange County,” says Wes Edens, cofounder of Fortress Investment Group and another owner. In April 2014, Kohl, who’d bought the Bucks for $18 million in 1985, sold the team to Edens and Lasry for $550 million. In July, Jamie Dinan, who owns a small share of the Washington Nationals baseball team, joined the group. (“My wife said I should do it,” he explains, on the grounds that their children had left for college. “She said, ‘We’re going to be empty-nesters and you need something you can be excited about.’”) Each of the three billionaires would own 25 percent. In November, they added real estate developer Mike Fascitelli as a partner in the “significant single digits,” according to Dinan. The remainder of the final quarter is divided up among smaller partners, such as Green Bay Packers quarterback Aaron Rodgers, who bought into the team last year. The selling price struck some observers as high for a small-market team, but the partners were confident that the economics were in their favor. “I didn’t think you were buying a sports team but a media company,” Lasry says. NBA games are broadcast by ESPN/ABC and TNT, which had bought the rights from the NBA for about $930 million a year in a deal that was set to expire in 2016; in a revenue-sharing plan, the league divides that revenue equally among its teams. The teams also have local television contracts. “The [consensus] view was, it’s a small city,” with limited revenues from local contracts as a result. “Everybody was focusing on the local TV contracts. My view was, it’s a small city, but there’s only 30 teams and I’m getting 1/30 of that [national broadcast] revenue.” And Lasry was confident that thanks to the growing popularity of basketball domestically and internationally, the NBA’s next contract was going to be huge. “I thought the value of the contract would be double what it was,” he says. “It turned out to be triple.” In October 2014 ESPN struck a nine-year deal with the NBA reported at about $24 billion, roughly $2.7 billion a year, an annual increase of about 190 percent from the old contract. There was another element that made the deal attractive: The land around the likely downtown arena site, once occupied by a highway that had since been torn down, had been lying dormant for over a decade. Now some 30 acres of downtown Milwaukee was up for sale—an incredible development opportunity. The partners would work with the city, which owned the land, and the Bucks now own or control all of it. “Milwaukee has an incredibly rich industrial history, but it had kind of lost its way,” Edens says. “This [development opportunity] creates a great opportunity to get in there and do the right things.” Suddenly there are new apartments being built, new hotels, new retail, a parking structure, a state-of-the-art training facility for the Bucks, as well as improved team offices. “We went from being rabbit den offices to really hedge fund–type quality offices,” Dinan says. In the four years since the new owners took over, they’ve accomplished a huge amount, including the on-time, under budget construction of a new arena (backed by $250 million of public funding). Their investment is already paying off: Forbes recently placed the value of the team at $1.1 billion. The Bucks’ investments are meaningful in their own right—but because of them, other developers and investors are showing interest in Milwaukee. “The Bucks have raised some eyebrows,” Barrett says. “It’s not uncommon for someone to come in from out of town and say, ‘I’ll still love you in the morning’—and then they’re gone.” The Bucks, however, are sticking around. As a result, a struggling city is on the rise. 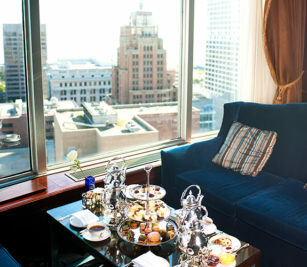 The historic heart of Milwaukee’s German community, now referred to as Old World Third Street, remains traditional but with a modern flair. Located directly east of the Fiserv Forum, the heritage street is lush with 1800s facades and a three-mile Riverwalk that runs parallel.